An unlikely partnership is teaming up to bring a series of debates to post-secondary institutions all across Alberta. 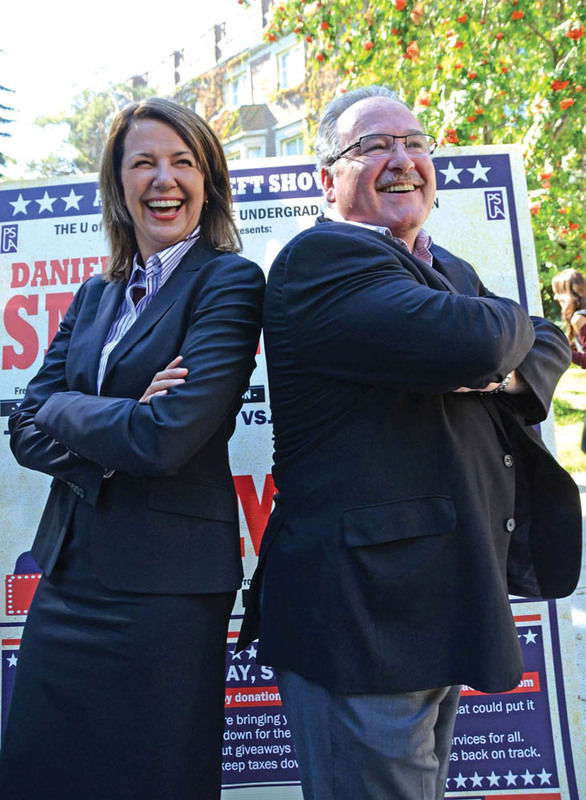 Danielle Smith and Brian Mason – leaders of the Wildrose and New Democratic Parties in Alberta, respectively – will be duking it out verbally this fall at six campuses. The first event is being held on Sept. 18 at the University of Alberta, and will run until Oct. 17 when the series closes shop here at Mount Royal. The debates will focus on where Alberta will go in a post-Progressive Conservative era, as well as other provincial issues. The PC party has been in power for 42 years, and is less than one year away from having the longest unbroken run by any party ever in Canadian history. During the 2011 election, it was thought that the Conservatives might not return to office as the Wildrose Party gave them a run for their money during the campaign period. Despite polls that suggested that Smith and the Wildrose might take office, Premier Alison Redford led the PC party to yet another majority. With all the hubbub that surrounded the election, the Conservatives only ended up losing five seats, holding 59 of the 87 available seats. The Wildrose Party is the current opposition in the Legislative Assembly in Alberta, and the NDP hold the fourth most seats, sitting behind the Liberals. The Policy Studies Students’ Society will be hosting the debate, which begins at 7 p.m., and will be free to students.